Gregory Finsley has been influenced by music’s greatest heroes since he could turn a radio dial as a child! Having been educated from middle school through high school, jazz and marching bands in Dallas, TX Gregory took up percussion at age 11 and never stopped. His desire to multitask became an easy habit early in life wanting to sing and play the drum set simultaneously and later the piano. Mixing rock, blues, swamp pop, country, and other styles of music in bands, Gregory has played with great musicians in New Orleans since he arrived in 1995. He even played Bourbon St. at the famous Tropical Isle with “Late As Usual” on a weekly basis.Strangely enough, Gregory’s first ever rock concert was Dec, 10, 1977 at Tarrant County Convention Center to see Queen perform being almost 12 years old! Watching the black crown raise up with the mist and smoke, lights and band, he decided he wanted to be a performer no matter what.Aside from his original recordings, Gregory has recorded and performed with many guitarists, piano players, and other vocalists such as John Autin of New Orleans, LA Craig Wallace of Dallas, TX Gary King of New Orleans, LA and even some corporations wanting Queen tunes specialized with different lyrics. His first Queen Tribute (Queen For A Day) was started in Dallas, TX in 2001 by Brian Harris, an outstanding guitarist with a long list of credentials to his name. 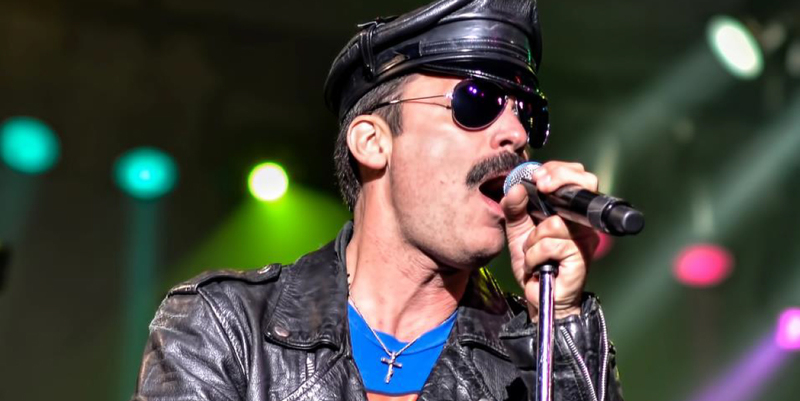 Gregory, having a cousin living in Los Angeles, introduced him to Queen Nation in 2007 and created an extra push in his musical endeavors, which is now the top performing Queen Tribute in North America. Parker Combs, longtime Queen fan, started playing standup bass at 12 years old. After spending the next five years playing in school orchestras and spending summers honing his craft at Interlochen Performing Arts Academy in Michigan he graduated to the electric bass. He has spent the last 18 years playing original and cover music in a variety of rock, funk and country bands. “Playing with Queen Nation has allowed me to use my classical and rock background to truly appreciate John Deacon’s Musicianship and re-discover the music and history of Queen. Peter Burke has been active in the LA music scene since the mid-90s. Originally inspired by classic rock bands like AC/DC, Aerosmith, and Led Zeppelin, the first album he ever bought was Queen’s “The Game”. In college he developed a love for jazz and classical music, performing throughout Europe with the CSUN Symphony Orchestra and statewide with renowned Jazz “A” Band. He earned Bachelor of Music Degree in Percussion Performance from Cal. St. Northridge in 2000.